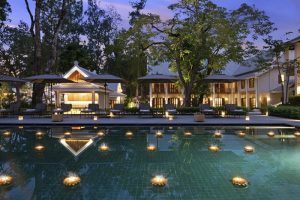 Luang Prabang (Laos) – January 8, 2018 (travelindex.com) — AVANI Hotels and Resorts is proud to announce the launch of its first hotel in the historic town of Luang Prabang, a UNESCO World Heritage Site in northern Laos. To book your Avani Hotels in the Lung Prabang and around the world at best rates available. Pay at the hotel. Book now at HotelWorlds.com! AVANI Hotels & Hotels is the vibrant upscale brand offering relaxed comfort and contemporary style in city and hotel destinations, AVANI was launched in response to an increasingly influential group of discerning travellers who appreciate stylish design and excellent service, but also demand great value. The brand currently has 21 properties in operation in Thailand, Sri Lanka, Vietnam, Malaysia, the Seychelles, Mozambique, Botswana, Lesotho, Namibia, Zambia, the United Arab Emirates and Portugal, with a pipeline of further openings in Australia, New Zealand, Asia and the Middle East. MH has plans to grow the brand across Asia, the Indian Ocean and the Middle East.